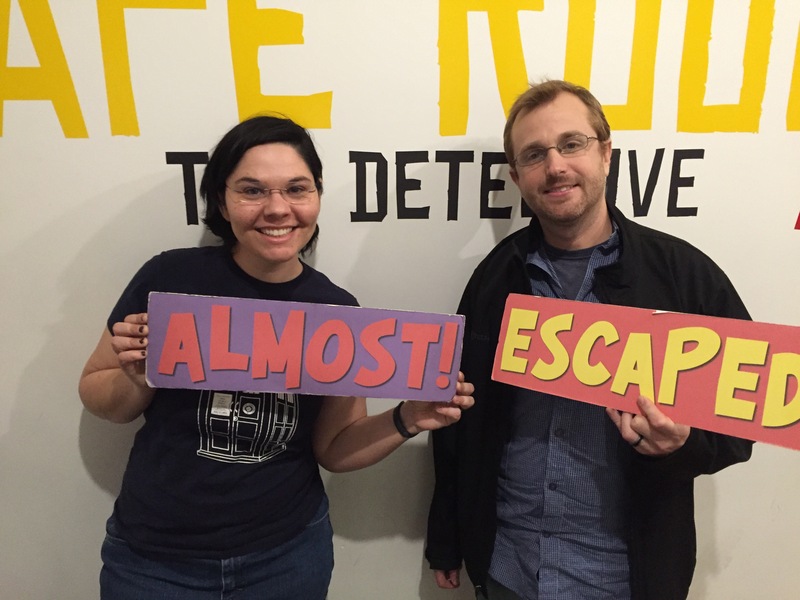 Escapedom is an excellent escape room located in Westwood, not far from Los Angeles. They are upstairs, so enter the entrance at street level and take the stairs up. It’s a good idea to give yourself a few extra minutes in case of traffic and to find parking. 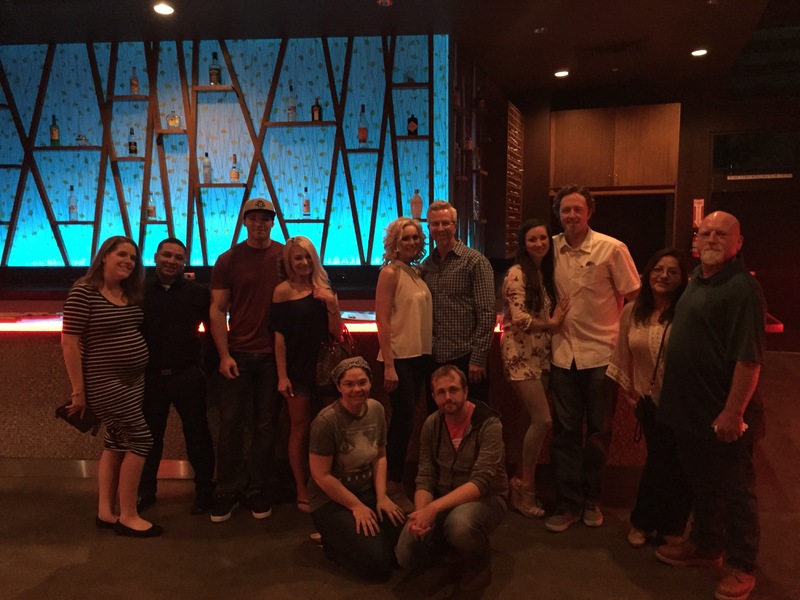 The owners and staff at Escapedom are wonderful. To me the signature difference that makes them stand out from others in the industry is their introductions. The way they introduce the stories are fun, innovative and unique. In the Den of the Occult your group is challenged to retrieve the Crystal of Death and escape the den of Maya Conway. Maya is a tarot card reader and satanic worshiper. I wouldn’t say that the room is scary, but it is definitely a darker theme than their first room. Your team must work together to solve unique puzzles. There is both searching and solving involved. The puzzles use many different ways of thinking. If you are stumped on a puzzle, ask your teammates to take a look because they may understand it right away. It’s great because there is something for everyone to solve. The room is well decorated. I was impressed by the use of technology. It’s a clever and unique game. Rooms of No Return is a family run escape room company in Bakersfield. It is easy to find and has plenty of parking. Jail Break is their second room. This is the most unique Jail room I’ve played in California. It’s a well told story that does a good job of immersing you in the in game. Grace Wright has asked you to help her escape after being locked up for her husband’s murder. She claims to have been framed. You have an hour during a riot to escape the game. The puzzles are creative and organic to the stories for the most part. This room includes solving, searching, teamwork and physical puzzles. They have some fun uses of technology in this room. The decor is okay. The staff is wonderful!!! They are my favorite rooms in the Bakersfield area. My husband and I were a little hesitant to play this escape room since we heard there were a lot of people booked per game and it was all the way in Rancho Cucamonga which was a bit of a journey for us coming from Los Angeles, so we went in with low expectations. They exceeded our expectations. I still prefer to play escape rooms with just the two of us, but for a large escape game this was a lot of fun. There were enough puzzles to keep our group of 12 busy. (Random note: Rancho Cucamonga has a weird smell and so did the room. I don’t know what it is, but it was really noticeable.) This is located in a mall so there is a parking lot and many restaurants walking distance from the game. The story is that you are in a restaurant during an earthquake. The space is very large and beautiful. This is a good example of a company creating an escape room around the space they have available to them and using what is already there. Certain areas are off limits and clearly marked, however the game master can easily access them. The puzzles are clever. There is a mix of mental puzzles, searching and physical puzzles. There is no lobby, so you will enter at your game time. They do a quick orientation outside of the door. There are bathrooms that you may use during the game…there were no puzzles/clues inside the bathrooms. My only complaint: a couple of the locks were a little past their prime making them difficult to open. The game master gave the reason that they had been used a lot, but I don’t understand why they haven’t just replaced them with properly working locks since replacing locks is a common and major part of upkeep on escape rooms. Secret Mission is a spy themed escape room in Los Angeles near Korea Town. My husband and I played here on New Year’s Eve and the lot was packed, but I used to live a few blocks from this location and I know parking is usually rough. The parking lot is small and often very busy, so I recommend giving yourself plenty of time to find parking in case the lot is full. It is upstairs in a strip mall. The lobby is nice. There are restrooms in the business. The Secret Mission room is well designed and decorated. There are a few really creative puzzles and a few similar to things I’ve seen before. It’s not an especially difficult room, however we had trouble with a couple of things. One of the things we struggled with gave us such a difficult time that the game master had to come in and do it for us because we knew what we were supposed to do, but just couldn’t get it to work. He took a moment of fiddling with it and finally we could continue. After speaking with him, it seemed as though he was trying to find a fix for that prop. He seemed very passionate about his business and excited for his next room, as well. Eskape escape room is located in Irvine in a business area with a large parking lot. The game master was very friendly and upbeat, especially since we were the only people there and it was a last minute booking keeping him at work on Super Bowl Sunday. He didn’t appear to be the owner, but rather one of the best escape room employees I’ve met. He really seemed to love his job. It is a good solid game with about 1/2 standard puzzles I’ve seen before and 1/2 really creative and unique ideas. The decor is good. The hint system is through a monitor. It was a good escape room, however one of the main puzzles malfunctioned and there was a bit of trouble with the sound and temperature in the room. It got uncomfortably hot due to the large windows on a hot day. Overall I would recommend it to both beginners and advanced players because beginners can always ask for hints if they get too stuck. Unusual circumstances left my husband and I able to play this escape room with just the two of us, but it is an 8-12 person room. It’s made for a large group and I recommend playing with a group. Unfortunately we didn’t get out with only 2 of us, but we did solve just over 75% of the puzzles which I’m very proud of. There is a lot to do in this room! I loved the theme and decor of the room. The puzzles are all pretty obvious once you discover them and none of them are overly difficult, however some are incredibly time consuming. If you are really curious, you can see inside the room in this online clip of Conan at this location. Note: Give yourself a little extra time because traffic and parking can sometimes be difficult downtown Los Angeles. I’ve played all three current rooms at Enigma and they are truly one of the top companies in the escape room industry. They are located on Sunset in Los Angeles. The Will, the third room, is an amazing experience unlike the typical padlock style puzzle room. The Will is set in a home and that’s what it looks like. There are not a bunch boxes hiding behind objects sealed with padlocks, but rather furniture and realistic set dressing. At first I just stood in the room taking everything in and trying to figure out where to begin, but once I accepted that this room is much cooler than the typical room I quickly got into the groove and start figuring out the solutions. The puzzles are unique and creative. The room design and decor is great. The story is well constructed. The owners/creators are passionate and very nice. I highly recommend Enigma’s The Will.